Here I would like to share a data structure that I use for navigation in 3D space of a game. In essence it is a binary tree build out of linked lists. This pictures only one single dimension. In a game I use three dimensions but the structure allows N dimensions. This is C# implementation for efficient calculation of the median from a continuous stream of numbers. I was playing the other day with some equations and thinking about how I was taught the logarithmic function back in school and how we usually think about it these days. And correct me if I am wrong but I can't remember a case when this concept was introduced in a some kind of visual way. The most visual thing I've ever seen about it was a graph of the logarithmic function – the well known curve. And may be you would say, this is because there is nothing visual about the logarithmic function per se. May be it is a purely mathematical concept, having nothing to do with visualizations. This is a short You Tube video I made last month, to visualize the Quick Sort sorting algorithm. 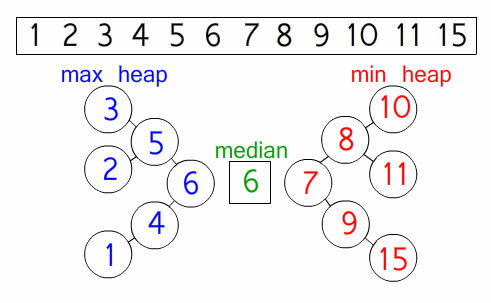 As you all know this is one of the most efficient algorithms for sorting data. There are many implementations of that algorithm so this is just one of them. The basic idea of quicksort is to choose one element that we call pivot, and to place all the elements lower that the pivot on the left side and all the elements higher than the pivot on the right side. This way the pivot is placed on the right place and we repeat the same procedure for the two remaining sub lists and so on recursively until we have the entire list sorted. Very often we have a scale of values that can be generalized and described as a real number within the range of 0 and 1, 0 being the lowest value and 1 being the highest. For example if we are building an airplane with highest possible altitude of 5 miles we can represent the current altitude with a number from 0 to 1, in this case 0 will represent the plane on the ground and 1 on it’s highest altitude of 5 miles. This may be useful in many different situations, for example if you show this value to a person or instrument that is not familiar with the specific value but can understand the idea of minimum and maximum of this value. Another useful scenario would be in you want to represent this value in a diagram, arranging it from 0 to 1 makes it easy to plot on a surface of any size.